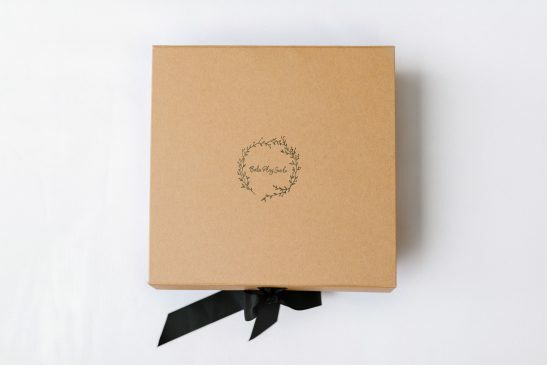 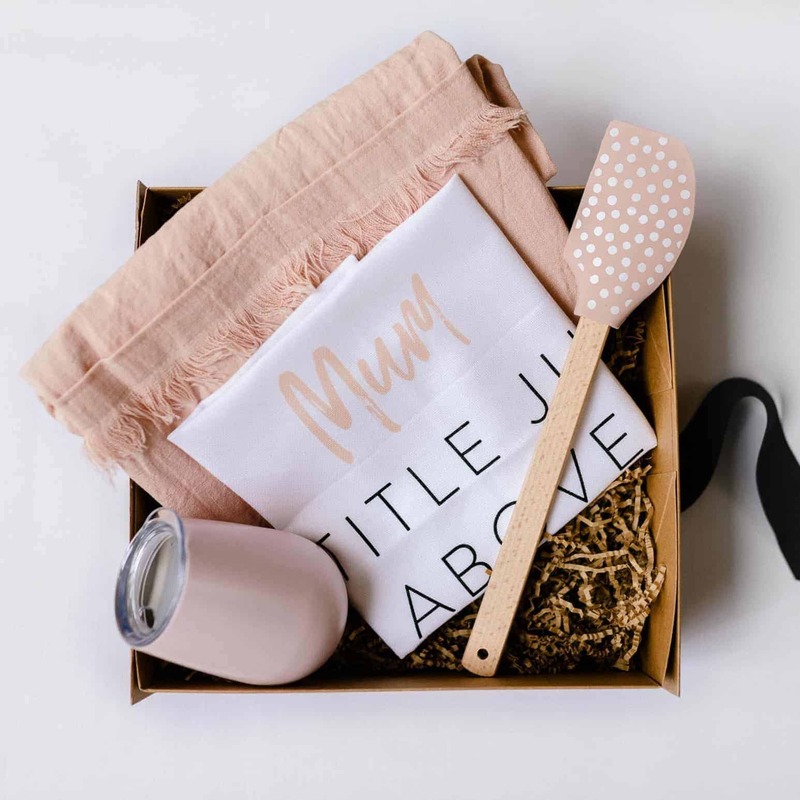 Introducing the stylish ‘Mum Hamper’… a unique and gorgeous gift for your Mum! 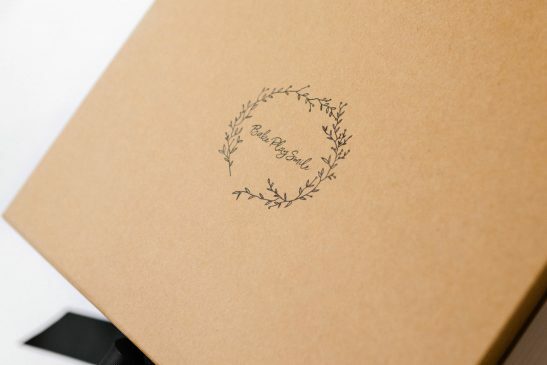 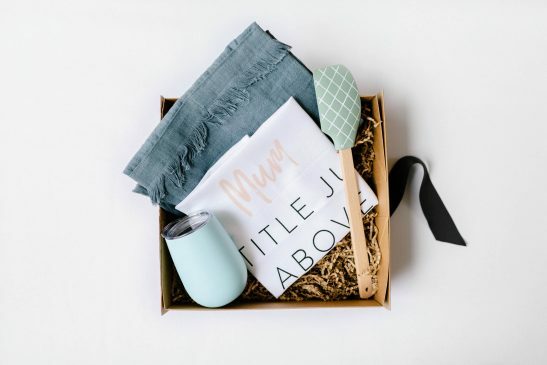 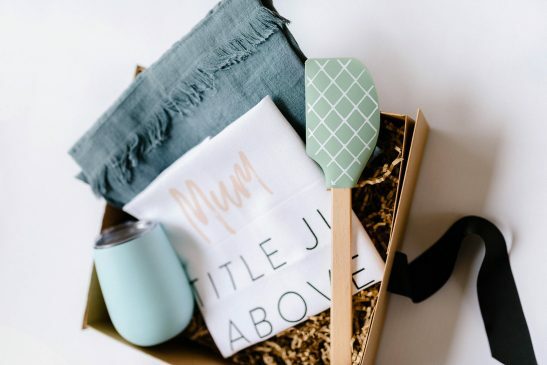 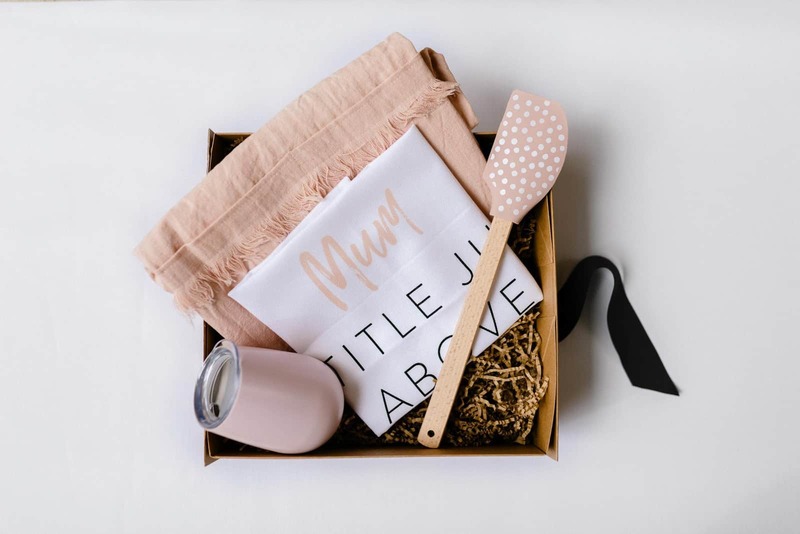 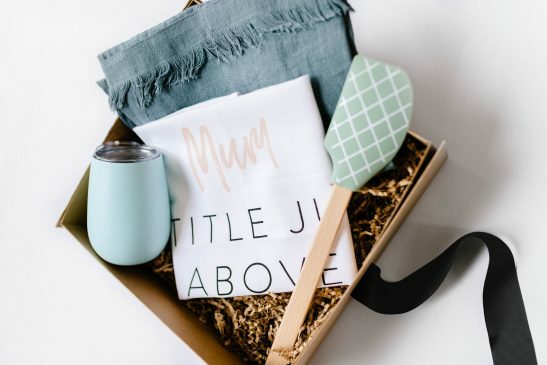 A stunning box filled with a linen apron, stainless steel wine tumbler, pastel spatula and our designer ‘Mum’ tea towel. 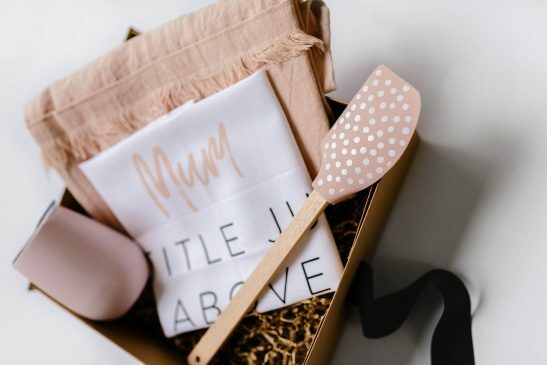 Available in pink or blue/grey.